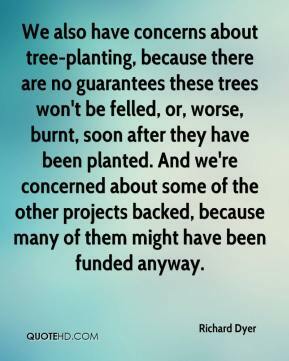 We also have concerns about tree-planting, because there are no guarantees these trees won't be felled, or, worse, burnt, soon after they have been planted. And we're concerned about some of the other projects backed, because many of them might have been funded anyway. 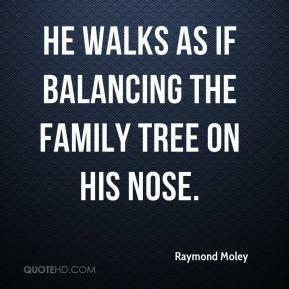 He walks as if balancing the family tree on his nose. 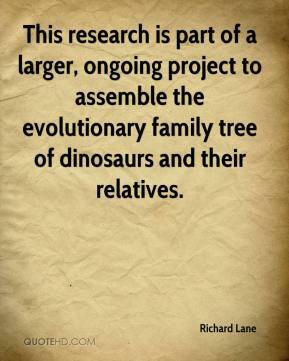 This research is part of a larger, ongoing project to assemble the evolutionary family tree of dinosaurs and their relatives. People are coming earlier and earlier for their trees. 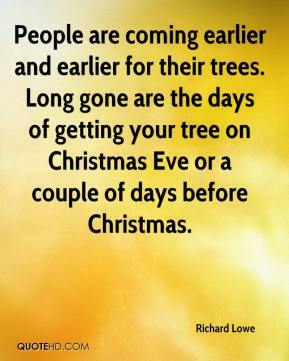 Long gone are the days of getting your tree on Christmas Eve or a couple of days before Christmas. 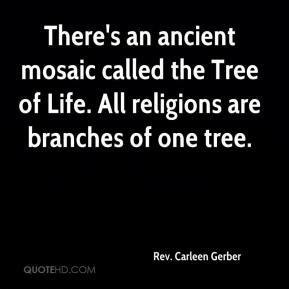 There's an ancient mosaic called the Tree of Life. 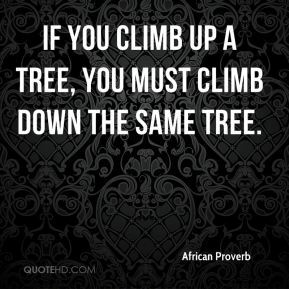 All religions are branches of one tree. 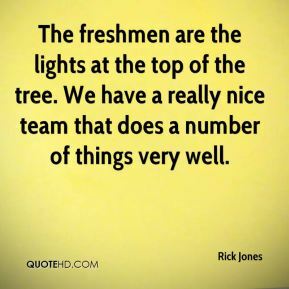 The freshmen are the lights at the top of the tree. We have a really nice team that does a number of things very well. 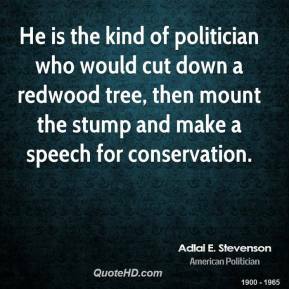 He is the kind of politician who would cut down a redwood tree, then mount the stump and make a speech for conservation. 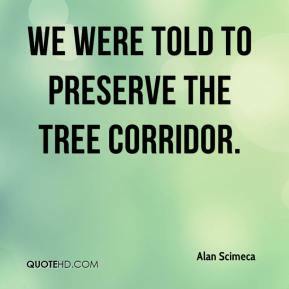 We were told to preserve the tree corridor. 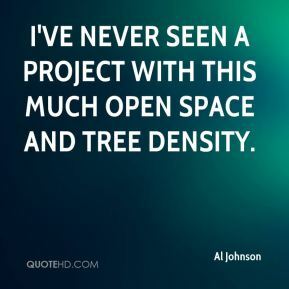 I've never seen a project with this much open space and tree density. I've been doing this for 18 years. 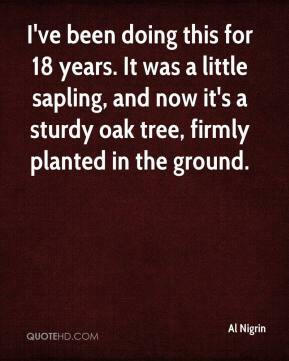 It was a little sapling, and now it's a sturdy oak tree, firmly planted in the ground. I had a chip shot against the tree. I hit a nine-foot slider. 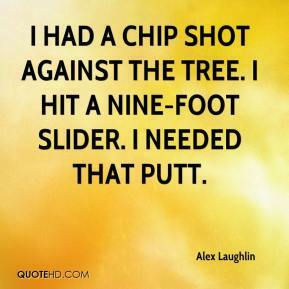 I needed that putt. 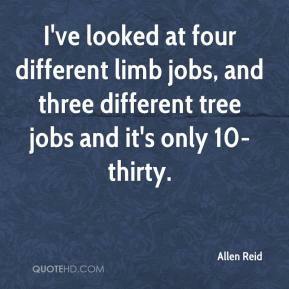 I've looked at four different limb jobs, and three different tree jobs and it's only 10-thirty. We had a tree from outside of the right-of-way fall down across some lines. 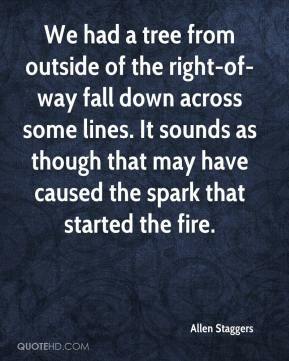 It sounds as though that may have caused the spark that started the fire. 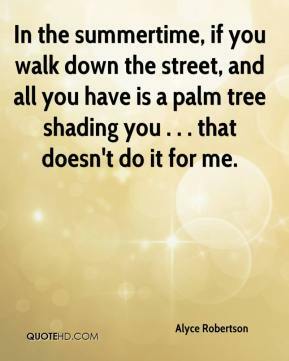 In the summertime, if you walk down the street, and all you have is a palm tree shading you . . . that doesn't do it for me. 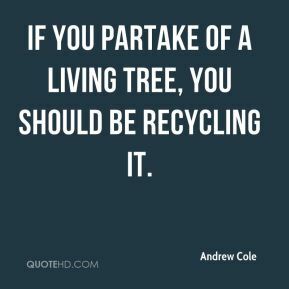 If you partake of a living tree, you should be recycling it. Rising temperatures can decrease productivity for many crops in the San Joaquin Valley. 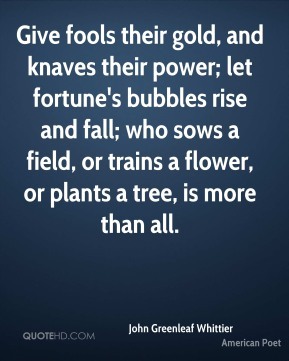 Many of the fruit tree crops may not be able to be grown. 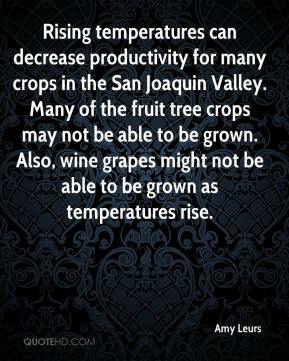 Also, wine grapes might not be able to be grown as temperatures rise. 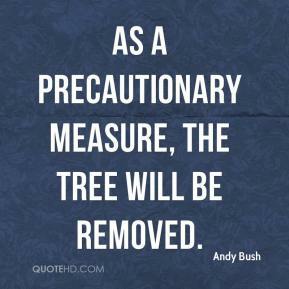 As a precautionary measure, the tree will be removed. 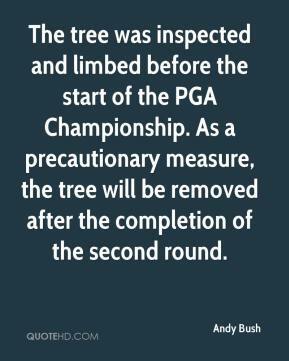 The tree was inspected and limbed before the start of the PGA Championship. 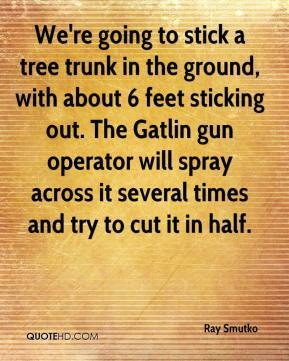 As a precautionary measure, the tree will be removed after the completion of the second round. 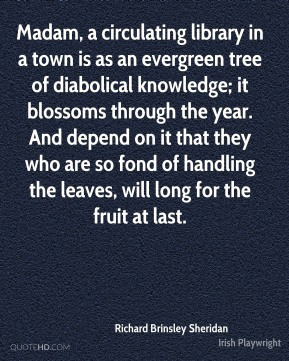 The tree-hugging Tolkien freaks, once they get around to seeing the movie and reading the books, tend to go on to read other things that he did. 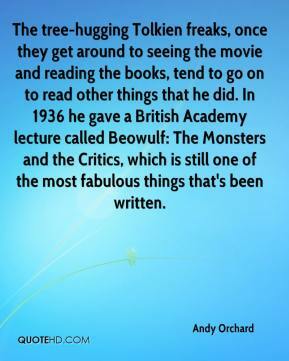 In 1936 he gave a British Academy lecture called Beowulf: The Monsters and the Critics, which is still one of the most fabulous things that's been written. My husband used to work at one of the mills, and there they take out the tree and leave nothing in its place. Not us. I'm 47 years old and have five daughters, so I'm thinking of the future. They like this work overseas because it is from the Holy Land. 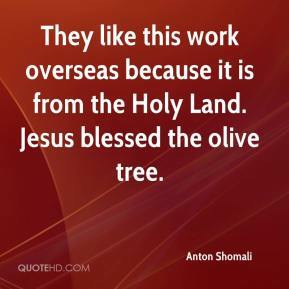 Jesus blessed the olive tree.